In politics as in marketing, name recognition (also referred to as name recall or awareness rating) plays a key role in giving certain candidates a head start over their rivals. This explains why, for example, Hillary Clinton leads all her rivals in polls conducted in connection to the 2016 United States presidential elections. Once you’ve established universal name recognition, it is easier to have people listen to your campaign platform. That’s a huge asset knowing that the legal campaign period is only 90 days. But what if name recall is all you have as a candidate? 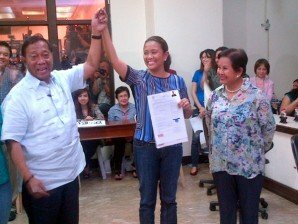 A good example would be the Senate candidacy of Nancy Binay, daughter of Vice President Jejomar Binay. Although Binay hasn’t held any elective position throughout her life unlike two of her siblings, she’s been faring well in public opinion polls from the start. Criticisms against the younger Binay had been harsh. In an editorial titled “Unqualified,” the Philippine Daily Inquirer wrote that of the 33 senatorial candidates, “Only one has no achievements to speak of, (and) no accomplishments to her name.” Her seeming averseness to media interviews and debates also hasn’t gone unnoticed. The public doesn’t seem to mind. She remains in the winning circle according to three recent surveys of senatorial candidates. She’s ranked 3rd in SWS, 5th to 11th in Pulse Asia, and ranked 4th according to The Center for Issues and Advocacies. 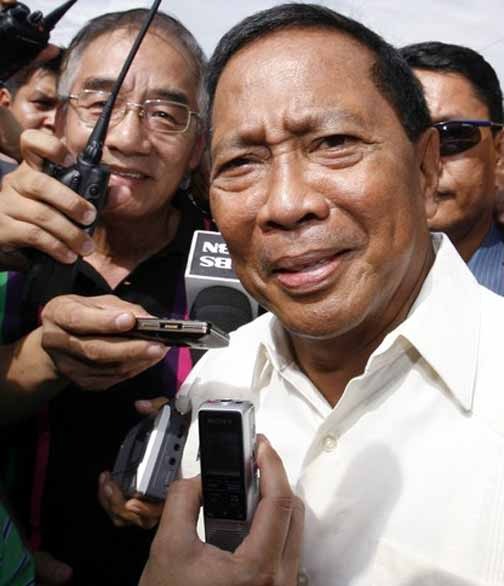 Binay’s strength as a candidate has puzzled analysts even before the campaign period started. A look at the survey figures gives us insights on just how formidable a candidate Binay is. The Pulse Asia survey says that Binay’s name awareness rating stands at 95%. Her name recall score is higher than Ramon Magsaysay Jr. (91%), a former two-term senator and son of an ex president, Risa Hontiveros (86%), former Akbayan legislator and foremost proponent of the Reproductive Health law, and Richard Gordon (90%), former senator and 2010 presidential candidate. Who knew Nancy Binay prior to her announcement of candidacy last October? A source knowledgeable about the Vice President’s camp once told this writer, and this conversation happened months before the filing of candidacies, that the original plan is to let Makati Mayor Jejormar Erwin Binay run for senate. However, this can have risky implications. Binay’s son won in 2010, but his 40,000 vote margin of victory pales in comparison to the crushing defeat his father dealt to challenger Senator Lito Lapid in 2007. In fact, had Ernesto Mercado and Erwin Genuino joined forces three years ago, Binay’s son would have lost based on the vote totals each of them got. So, if Nancy will be the one to run for his post, the Binays’ 27-year reign in Makati may be endangered. Nancy Binay’s senatorial candidacy is all about her father’s 2016 presidential bid. The vice president, as one observer pointed out, is testing how strong his brand is in preparation for the big fight ahead. If elected, Nancy Binay will have access to P200 million in pork barrel funds annually. She can spend this on all sorts of projects around the country. She can do this in her official job as senator and as her father’s top surrogate. Talk about hitting two birds in one stone! In 2010, Binay proved that forging relationships with local government leaders around the country can deliver him the victory. Binay and his party is understandably using this strategy again, this time for his daughter. Jejomar Binay’s name may not be on the ballot, but as suggested by his active role in this election cycle, he knows that so much is at stake for him. If Nancy Binay’s surname alone is enough to propel her to the upper half of the Senate race despite not having any meaningful credentials, Jejomar Binay’s trial run for 2016 is a huge success.